120 Days Same as Cash $247.00- Best Rates & Prices Around. 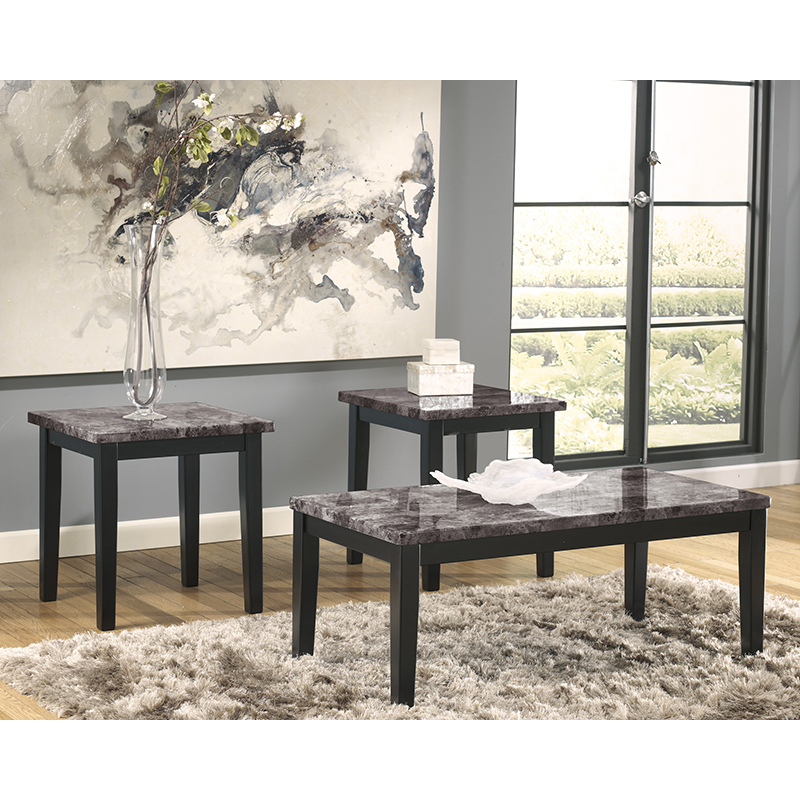 With a rich polyurethane coated print marble table top supported by deep black finished legs, the ''Maysville'' accent table collection captures a warm contemporary style that is sure to enhance the decor of any home while creating a warm inviting atmosphere. 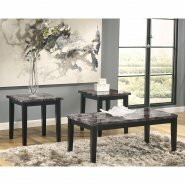 FSD-TS3-43FM-GG Coffee Table 48.00" 23.75" 19.25"
FSD-TS3-43FM-GG 2 End Table 22.25" 23.75" 24.00"